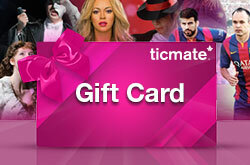 At Ticmate.com.au, our goal is to become the leading European company for sales of international tickets and trips to all kinds of events. We do not only provide information about each event and make ticket booking easier for people wanting to go to a musical, show or competition somewhere other than their own country. Also, we are, due to our vast experience in the industry, able to help you, the producer find a keen new audience. The man behind Ticmate.com.au, Marcus Moeschlin, has a passionate relationship to musicals, concerts and all kinds of event. As an 18 year old he had already started organising trips to rock concerts from his home town of Jönköping in Sweden. Three years later, in 1985, Marcus was working with the Swedish artist, Cornelis Vreeswijk final tour and album. Thereafter a long and exciting career followed. A career wherein the focus has always been on offering people events and international experiences at affordable prices, not least during his time as owner of Box Office Sweden in Stockholm. Marcus can also be regarded as s digital pioneer within the events world. As early as 1990 he was involved in the creation of Global Tickets, a network in which 22 countries bought and sold tickets to international events between each other electronically. This was at a time when their competitors were still using outdated methods like the fax and telephone. For this, the network received the British Queen's Award for best export in 1992. Even if Ticmate.com.au is a young company, there is substantial knowledge and experience of international events within the company. On the board of directors for Ticmate AB, in addition to CEO Marcus Moeschlin, are Olle Setterberg, Mattias Sesemann and Jan Friedman. Both Setterberg, Sesemann and Friedman have a great deal of experience both of running companies and from being on the board of companies working within trade, travel, media and other businesses within the service industry.